Lift, firm and tighten the appearance of facial contours with this exceptional, antioxidant cocktail, featuring Vitamin C, Hyaluronic Acid and DMAE for powerful free-radical protection with additional oil control. Apply sparingly morning and evening to clean skin. Apply over entire face, neck and behind ears. 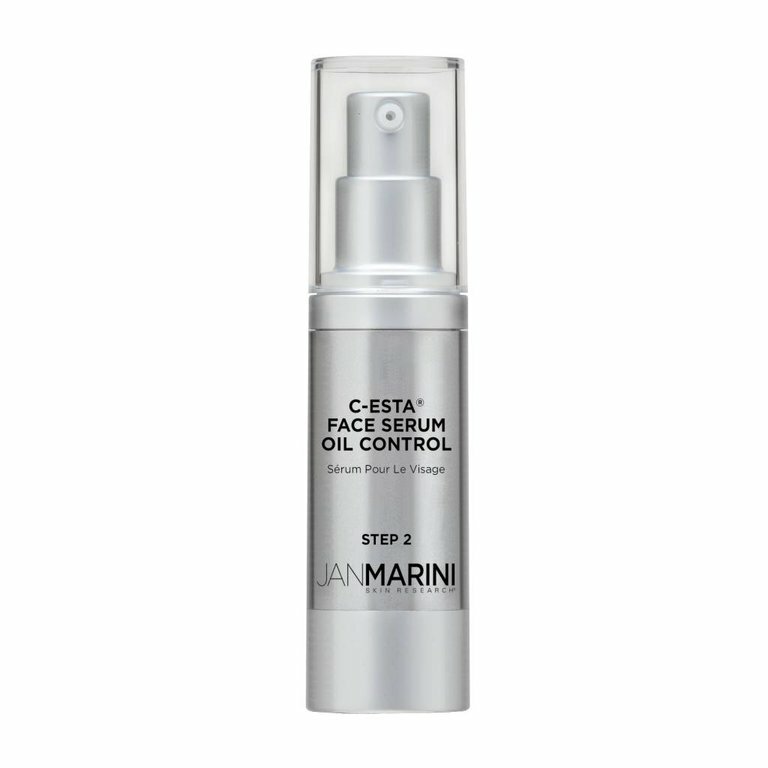 C-ESTA Serum Oil Control can also be applied: In spots or areas. For example, on the T-Zone over sunscreen or just on the nose or forehead, etc. over sunscreen. Apply sparingly to the appropriate areas and massage in thoroughly. On oily upper eyelids in order to enhance eye shadow wear and prevent creasing. Apply sparingly, being extremely careful not to get product in eyes. A powerful antioxidant cocktail featuring Vitamin C and DMAE. Shown to improve the overall appearance of skin and reduce the appearance of fine lines and wrinkles and uneven skin texture.